As a creative writer, Gail brings a lot of passion to IPR. She has worked as a teaching artist for The Loft Literary Center in Minneapolis for over a decade. During the summer, she teaches in The Loft’s Young Writers’ Program, and throughout the year, works with writers of all ages at both The Loft and in libraries, as part of First Pages (a literary enrichment program offered by Hennepin County Library in collaboration with The Loft). She’s also collaborated with the Minnesota Center for Book Arts on a holiday-themed writing class, and designed workshops for memoir writing and sampler classes that rock the creative writing genres, from poetry to fiction. 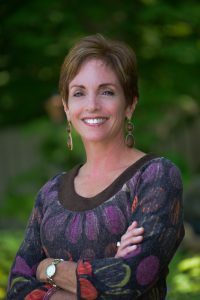 Prior to her life as a writer, Gail worked in sales and marketing and owned her own graphic design company. She is first and foremost a mother (of three musicians, one of whom produces Jazz 88’s third highest ranked radio show, The FUNKtion) and wife, which provides her with endless inspiration for her writing. Published in several Midwestern literary journals, including Rock, Paper, Scissors, where her piece Humble Warrior was awarded Best in Creative Nonfiction (2014). Wrote (Hamline’s first) MFA thesis (to be produced) as a blog, entitled Expecting to Fly, viewable at gailmilstein.wordpress.com.